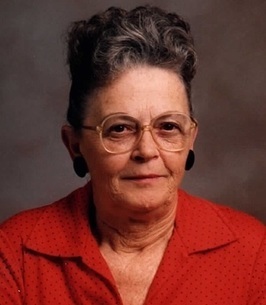 Jackalin B. Harper of Billings passed away on Monday, November 5, 2018 at the age of 91. Jackie was born October 14, 1927 in Billings, Montana the only child of Irma Long (née Chance) and Emile A. Long. She married Douglas L. Harper on October 21, 1959. She was preceded in death by her husband, Douglas L. Harper and her son, Douglas F. Harper. She attended Belfry High School and spent most of her youth in the Belfry area. She was devoted to her mother, Irma and they owned the Irma Sewing Shop in Billings for many years. Jackie and Doug owned and operated the Bairs Truck Stop Cafe in Billings for 15 years. Throughout her life, Jackie enjoyed spending time outdoors, gardening, baking, square dancing, making jewelry from antlers and feathers, sewing, making quilts and collecting Native American beadwork. Jackie loved animals and was especially fond of horses. Family was important to her and she was proud of her Montana heritage. Jackie descended from the Allen and Chance families, early pioneers in Montana. She is survived by three sons, Lawrence L. (Melanie) of Phoenix AZ, John (Jane) and Michael (Cynthia) both of Billings, 13 grandchildren and several great grandchildren. She will be cremated and graveside services are pending. Smith Downtown Chapel is assisting with arrangements. To plant a tree in memory of Jackalin B. Harper (Long), please visit our Heartfelt Sympathies Store. We encourage you to share any memorable photos or stories about Jackalin. All tributes placed on and purchased through this memorial website will remain on in perpetuity for future generations.